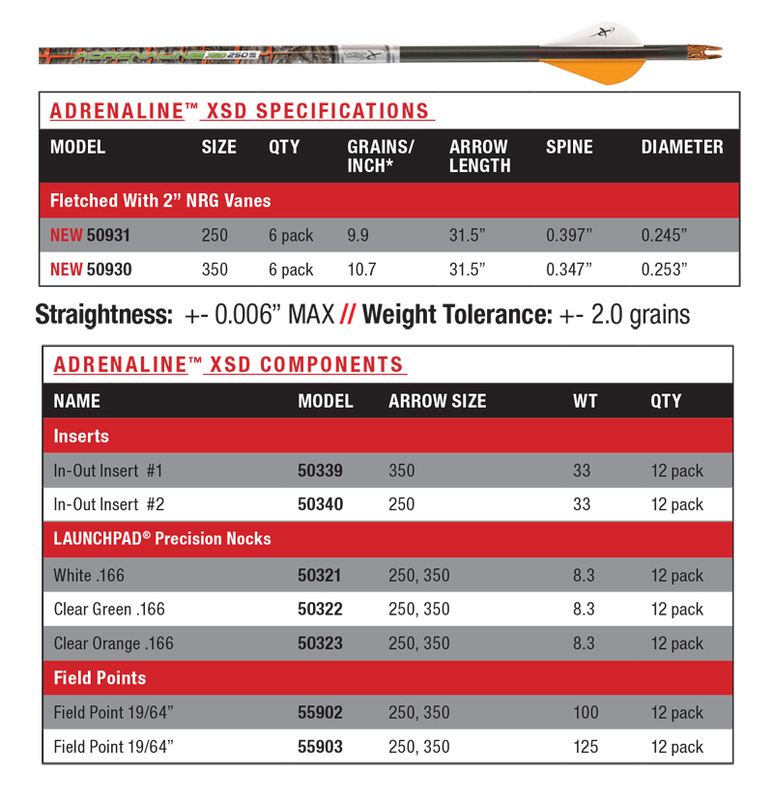 Matched Weight Set - All Adrenaline series are sorted and matched by weight for best-in-class consistency. Weight sorting tolerance is +/- 2.0 grains. Real Straightness - All Adrenaline series shafts are 100% laser checked to be within +/- 0.006" of an as a maximum measurement not an average. Launchpad Precision Nock - Launchpad Precision Nock comes standard on all Adrenaline arrows to deliver a precise controlled arrow release, for better accuracy shot after shot. Performance Vanes - High performance Assault 2" vanes for maximum speed and greater accuracy. Buffed High Polish finish - For easy removal from Target and a quieter draw. The Adrenaline is engineered for speed and accuracy while delivering outstanding strength and durability. The advanced layered carbon design allows for greater consistency in performance. The ultra-buffed finish delivers a quiet draw on the arrow rest for added stealth in the field. Comes standard with Assault 2" vanes for greater speed and accuracy. Please See Recommended Components Below.